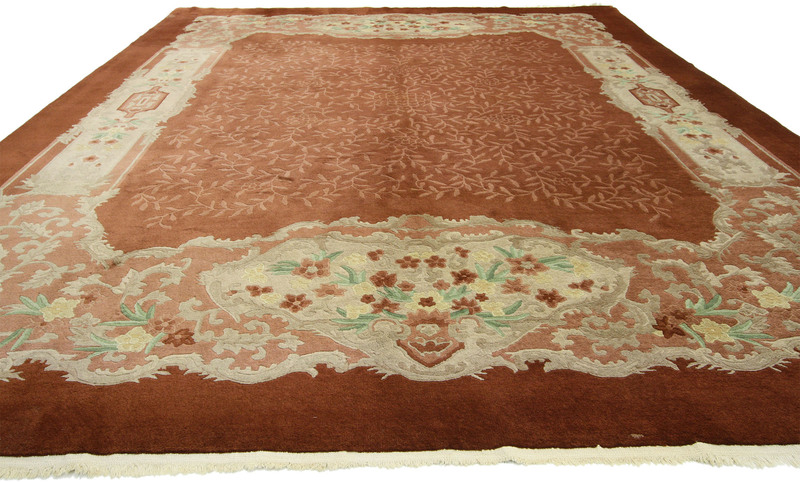 70603 Early 20th Century Antique Chinese Art Deco Rug 09'00 X 11'09 From Esmaili Rugs Collection. 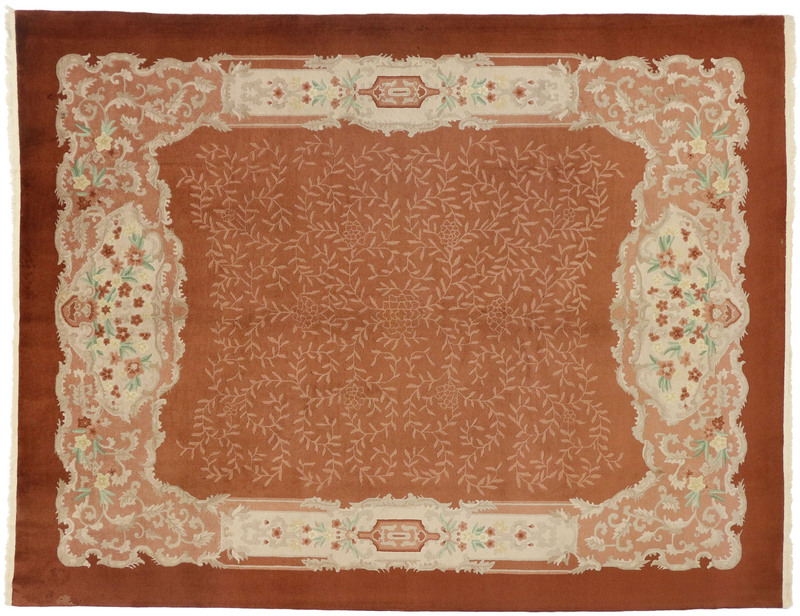 Inject a little deco color into your home with this early 20th century Chinese Art Deco rug. 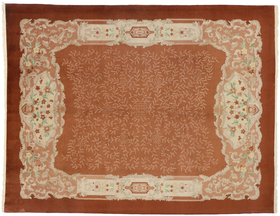 A vibrant fusion of the rustic burnt umber background filled with an allover vine pattern surrounded by a cartouche style border, this Chinese Art Deco rug is luxurious and exotic. 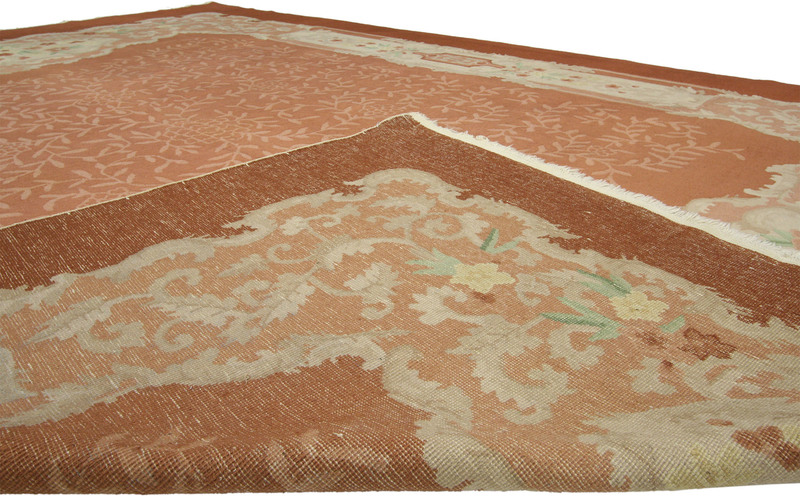 This is a Classic Art Deco rug featuring abundantly flowing flowers meandering through the cream border. 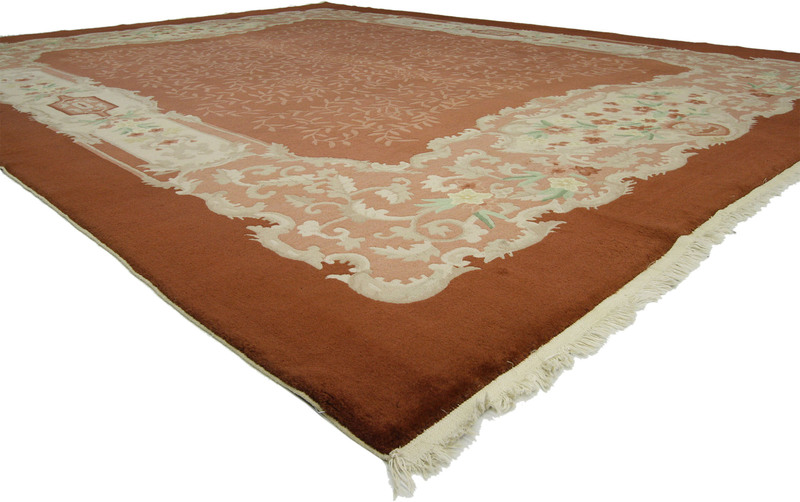 Hand-knotted from wool in the early 20th century and blending haute deco with Old World, this modern Chinese area rug embodies the glamorous style of the Art Deco period. Hand-knotted wool. Made in China. Measures: 09'00 X 11'09.